How Does a Merchant Get a Pre-Authorization on Someone's Credit Card? When a merchant needs to ensure funds are available on your credit card but is not yet ready to collect payment, he may place a pre-authorization instead. A pre-authorization reserves funds on the card, which become unavailable for other purchases until the pre-authorization expires. However, you are not responsible for paying that amount unless the merchant completes the transaction. When a merchant needs to ensure funds are available on your card, he can initiate an “authorization only" transaction in his point of sale system. 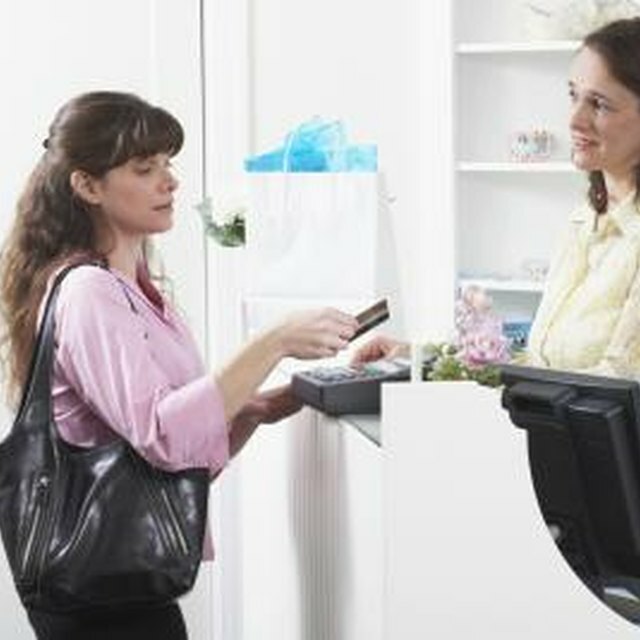 The POS system requests an amount for the authorization, then electronically reserves this amount with the card issuer. The credit card company sets the funds aside. When the merchant is ready to complete the transaction, he can use another function in the point of sale system to convert the pre-authorization into a charge. When converting the pre-authorization into a charge, the merchant can adjust the amount if necessary. Merchants typically use pre-authorizations when they know that you will use a credit card for payment, but do not know the final amount of the charge. Restaurants, for example, typically pre-authorize the amount of your bill, but do not convert that into a charge until the final amount, including tip, is available. Hotels typically pre-authorize the cost of your room at check-in, then add any incidental expenses you incur during your stay to the final charge. When a merchant pre-authorizes your credit card, that amount no longer is available for your use with other merchants. If you are near your credit limit and the merchant processes a pre-authorization for a large amount, you may be unable to use your card until you pay down the balance. For merchants, the feature ensures funds still will be available when the time comes to process the charge. Why Is My Debit Card Being Declined at Gas Pumps? When a merchant pre-authorizes your credit card, he has up to five days to convert the authorization into a charge, according to the Federal Trade Commission. If he does not convert the authorization into a charge, the card issuer must remove the authorization and release the funds for your use. In addition, your card issuer cannot make you pay for pre-authorizations that never converted into charges. A merchant still can charge your credit card even if the pre-authorization has expired. This type of charge is typical in hotel stays and car rentals of longer than five days, for example.